Our humble & inadequate tribute to the father of American mythology. A crash course on "Star Wars" history in comics. We have a hero in our midst at ACC. This week features an in depth look at the single most expensive collection we've ever acquired... not enough for you? There's a sale inside too! Golden age greatness is in our midst. As the Star (Wars) dust settles, don’t forget: everything in our inventory is 25% off until Christmas Day. Now playing on the IMAX official YouTube channel the Star Wars The Force Awakens IMAX Featurette. Several scenes of the new Star Wars sequel were shot using IMAX technology and everyone in this video seems really excited about it. Comicbook.com rightly points out that you’ll be able to see the film in IMAX or 3-D, but probably not both. While you’re contemplating that, stop by the eBay store for our entire line of Star Wars books and toys, including the Jabba the Hutt / Slave Leia / Salacious Crumb Funko Pop 3-pack! New Batman v Superman Trailer is here! There’s a brand new trailer for Batman v Superman: Dawn of Justice for you to chew on while we all wait for the premiere of Star Wars: The Force Awakens. Black Friday’s here - check out our featured items! As promised, great deals on key issues are here for the day after Thanksgiving! Marvel’s ready to rev our engines again with the first trailer for the latest chapter in their ongoing movie superhero saga. Jessica Jones now streaming on Netflix! Jessica Jones, the new superhero series from Netflix, is here so get your popcorn and your favorite binge-watching snuggy ready for a weekend of couch surfing. Gorilla Grodd is Back on “The Flash” Next Week! ext week’s episode of The Flash promises the return of Gorilla Grodd, everyone’s favorite sinister simian. George Barris, designer of that most recognizable of TV cars known as the Batmobile, has passed away at age 89. Walking Dead’s Glenn: What Just Happened? On The Walking Dead, no character is safe from taking a bullet or becoming lunch for the undead. Supergirl is a great choice of hero for a TV adaptation, though – superheroines are too few and far between to begin with, never mind those who headline their own TV shows. 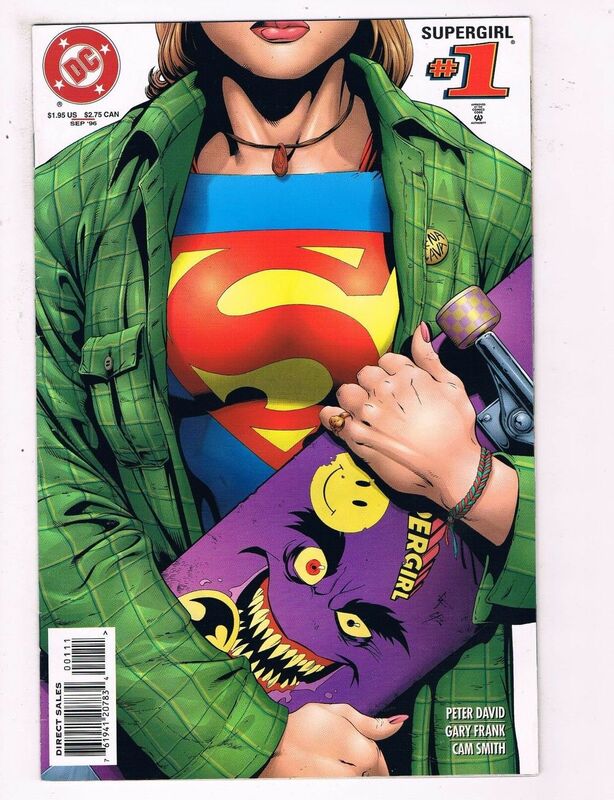 As an added bonus, the Girl of Steel is a lasting character with six volumes of her own ongoing comic book series. Most of those ongoing runs were short-lived, but the character is popular enough to justify hundreds of guest appearances in other comics and various media (TV’s Smallville, various DC animated series, and even her own misguided feature film back in 1984). Supergirl’s death during the Crisis on Infinite Earths provided one of the most memorable images in DC Universe history. Issue 7’s cover depicts a weeping Superman holding his cousin’s lifeless body – serving as the DCU’s biggest spoiler ever on a DC comic book cover … that is, until issue 8 came out and spoiled the fact that the Flash dies in the pages of that book. 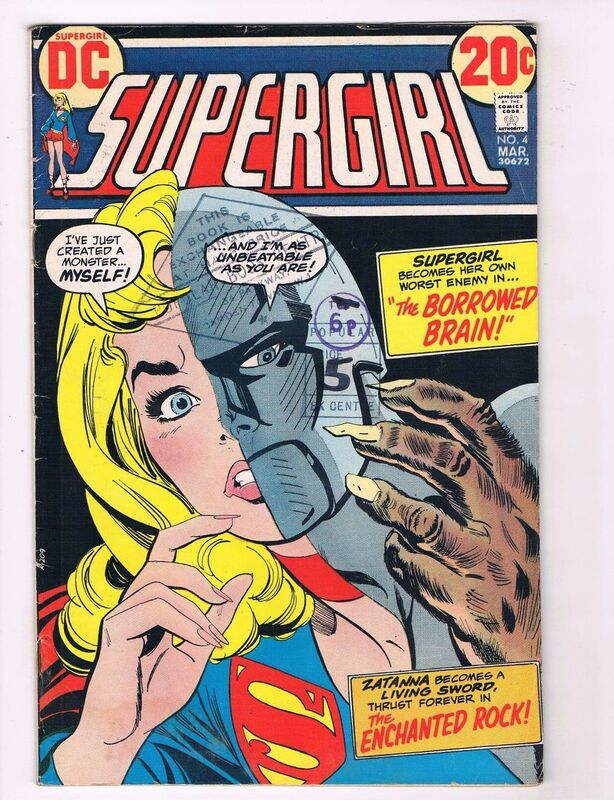 If you’re looking to catch up on the history of Supergirl or get a preview of what’s to come in the CBS series, we’ve got a quick list of links for your reading pleasure, and of course you can check out our current eBay inventory of Supergirl books if you’d rather read those adventures for yourself. Want to get these updates by email? Subscribe to the mailing list, it’s free. The People We Buy Books From Are The Best! Weeks like this help us remember how awesome the people we buy stuff from are. A crash course in 70's Horror Mags. For our initial post, I wanted to share a "holy grail" book that I was able to buy yesterday. It is none other than Tales To Astonish # 13, the 1st Appearance of everyone's favorite tree guardian, GROOT! This issue is considered the true first appearance of Groot, of the Guardians of the Galaxy. This beauty came from a relatively small collection that also had Journey Into Mystery # 82, Tales Of Suspense # 40, Amazing Adventures # 2 and a few other pre-Marvel, pre-hero, Atlas comic books. All the rest of the books are for sale now on the ebay page, in box J28.